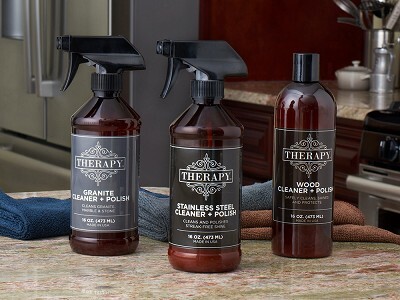 Therapy Clean Maker James Dudra spent 10 years formulating green cleaning products with plant- and bio-based formulas to be tough enough for kitchen clean-ups. He finally landed on an unlikely source of cleaning and polishing power—coconuts. 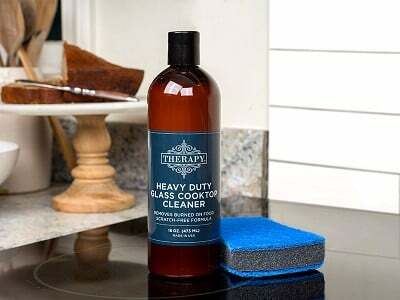 All of Therapy Clean’s non-toxic cleaners are made in New Hampshire with a coconut oil or a coconut oil-derived ingredient. Beyond cleaning, they add polish to surfaces without leaving streaks. James kept things eco-friendly while rounding out the formulas of the stainless steel, wood, granite, and glass cooktop cleaners. All are scented with essential oils, so there’s no harsh chemical-y smell. 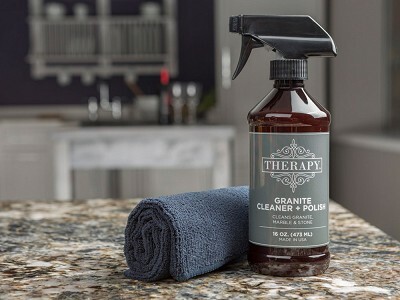 Calcium carbonate (aka the scrubby stuff in toothpaste) provides non-abrasive scrubbing in the glass cooktop cleaner and the granite cleaner has a neutral pH that’s safe for granite, marble, and quartz. 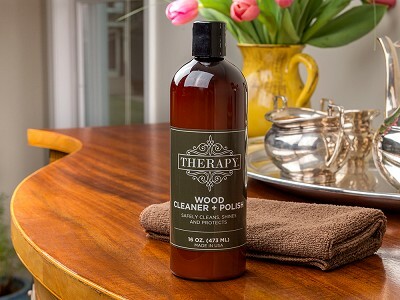 Sprucing up wood surfaces? That cleaner is gentle enough to use on furniture, cabinets, and even antiques. Will this remove etchings and light scratches from countertops? These products are not meant to remove etchings and light scratches, but rather to polish and shine surfaces. 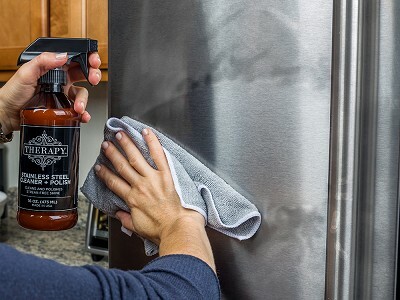 While it really depends on how much surface area you have and how often you clean such surfaces, each spray uses about 1 ml of product. There is a total of 473 ml in the bottle. So let's say you used five sprays per day, then the product would last about 95 days.